When you are renovating your kitchen, you will want to replace your laminate with custom countertops from Granite & Kitchen Studio. Our expert stone fabricators and installers are among the best in the business. As a leading stone company, we offer top-rated granite, quartz, soapstone and marble. Our stone slabs are the top quality you desire for countertops, vanities, tabletops and fireplaces. 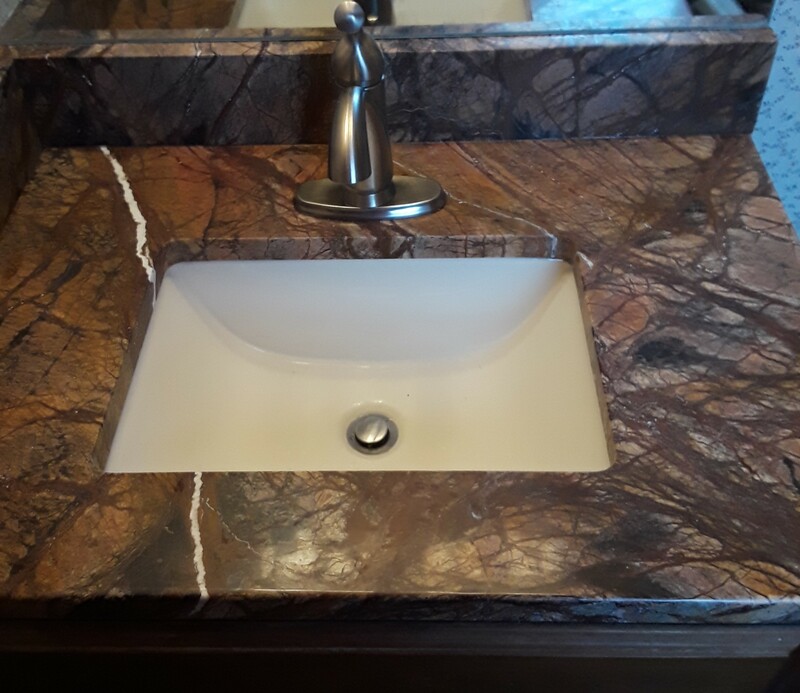 We have an amazing on-site granite slab inventory and many more colors and patterns of stone for your kitchen and bathroom remodeling projects. Natural stone products warm up your home, are long lasting, versatile, come in stunning colors and patterns, and increase the value of your home. When you are planning an interior renovation, our products bring classic natural beauty and warmth to your living space. At the Granite & Kitchen Studio, we use computer assisted design to conceptualize your project. We use the latest technologies and software in the fabrication and installation of your remodel. Come to our site and meet the design, fabrication and installation team. 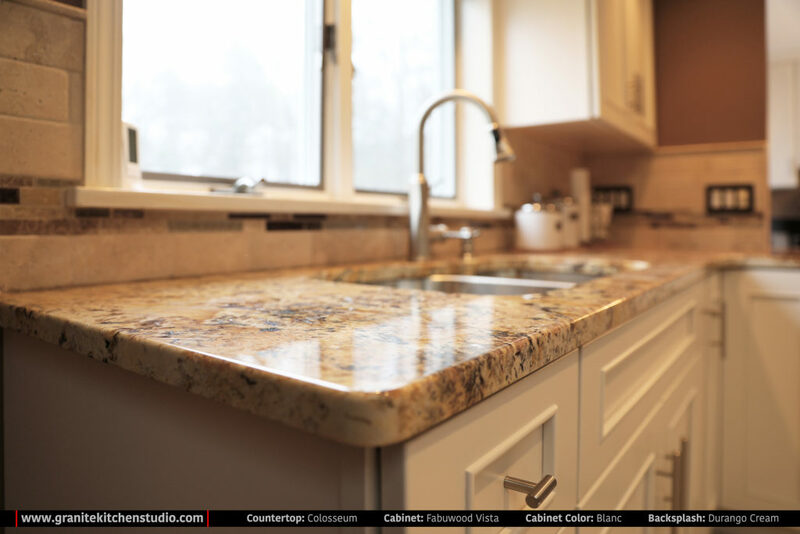 At Granite & Kitchen Studio, whatever design concept you can imagine, we can incorporate it into your finished project. Visit our studio to see our stone and cabinet choices. We are minutes from East Windsor, East Hartford, Hartford, Windsor Locks, Windsor, South Windsor and Manchester CT. Stop by to see our selection or call for more information 860-290-4444. I was looking for scraps of granite and Granite & Kitchen Studio made the process so easy! I was thrilled with the selection and the staff was very friendly and welcoming. I would definitely recommend for any granite needs!! Delightful experience from initial consultation to measuring, to choice, final estimate, delivery, installation, and visit for a minor fix. Such a pleasure to work with friendly, knowledgeable, and professional people on staff and installers as well. Many beautiful choices of granite to fit your budget, all scheduled and delivered in a timely fashion. Questions and or concerns always addressed. Without any hesitation, would recommend this establishment to anyone. Thanks to all! 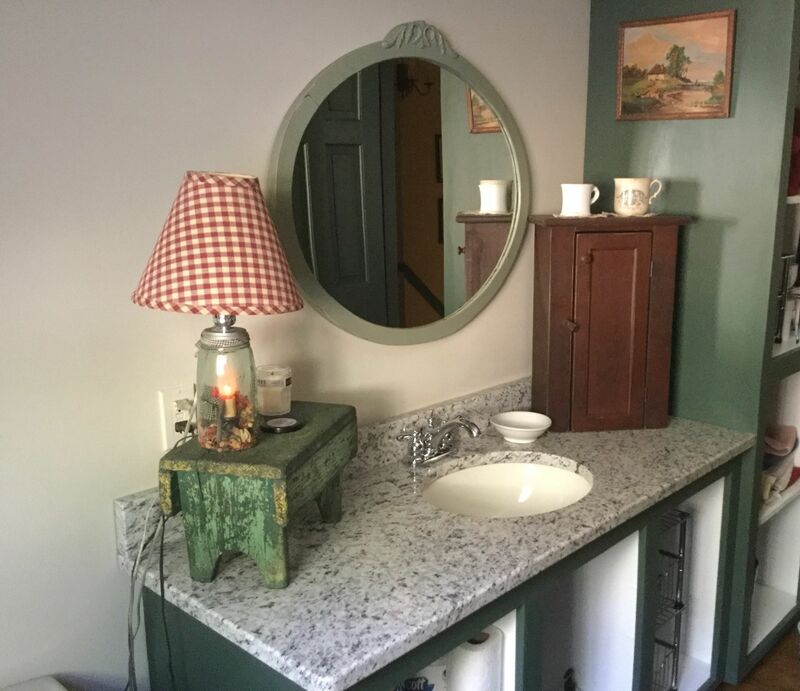 I have had Granite & Kitchen Studio in my home three times; a complete kitchen remodel and two bathroom vanities. LOVE THESE PEOPLE! Beautiful granite choices on site, quick, fast and clean professional installation, great salespeople; what's not to like??? We love our choice, just what we were looking for! We were very pleased with the process, you and your team made the process easy and stress free. The gentleman that came and measured for the granite was prompt, courteous and professional. Our granite was cut to perfection. The gentleman that came to install (Lee) and his helper were prompt on the day of installation, courteous and respectful of our home. We were totally impressed with Lee's confidence, attention to detail and his insistence on perfection when installing our granite. Words cannot express how happy we were with the whole process. I had a truly outstanding experience from start to finish using GKS for a complete kitchen remodel. The project started and finished on schedule (amazing in itself), and every facet was done expertly including demolition, cabinet install, back-splash tiling, and granite installation. Even the painting, ceramic tile repair and carpentry (crown molding. etc.) were done to perfection. The owner (Ahmed) is very hands on and one of the reasons we selected this firm. He is an amazing resource; architect by trade and such great ideas and creative juices! The entire team in the office including Devon & Christine were also both helpful and a pleasure to work with. We are SO happy with our kitchen and the people we worked with - I can't compliment or recommend them enough! We had another contractor come first and once we met with Ahmed we knew GKS was for us and we were 100% right! Not just you get the quality you were looking for and a great price. I have to admit that I am so impressed with the sharp timing through the whole process. At the end, I have to say it was a good experience to deal with granite and kitchen studio. My daughter and son-in-law bought their first home in Somers, Connecticut in February 2016. Their home is a farmhouse that was built in the 1800s in need of much repair. You never know what you're going to encounter when working with older homes and we did get our fair share of surprises. One of the first rooms we remodeled was the kitchen and it was a real challenge. Thanks to Ahmed, his staff and installation experts at Granite & Kitchen Studio the cabinets and granite counter tops were a huge success. They look beautiful and were professionally customized and installed in this old farmhouse. I highly recommend Granite & Kitchen Studio, you will not be disappointed. We had a great experience. A few hiccups, like any other remodel, but Ahmed was in constant contact throughout the day, and the guys were polite, patient and answered all of my questions. I highly recommend them! 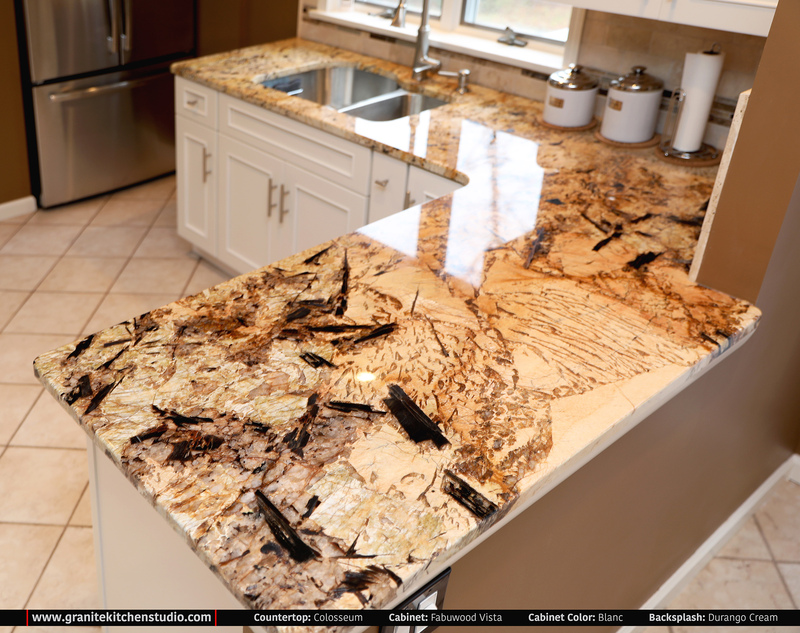 I visited a few granite outlets and came back to GKS due in part to the most helpful employees who took the time to walk the yard and gave very helpful suggestions in choosing the right granite and matching backsplash. I have to give a shout out to Christy in the front office she made the whole process go smoothly. Everyone involved were very helpful and courteous.I would have no problem recommending GKS to anyone. Thank you all, you did a great job! Just wanted to say thank you for a job well done. All employees were very helpful and the installers were great and friendly. Even with our tile backsplash, they had the tile delivered right on time. I know we will be remodeling another place we own and this company will be getting a phone call. Thanks again for all your help! We want to thank you for our gorgeous granite countertop! The entire experience, from choosing the granite to installation was extremely pleasant. Your staff was very knowledgable and easy to work with. I especially appreciated how you personally came out to do the measurements and used state of the art equipment to do so. The installation went seamlessly, and we now have exactly what we hoped for! The installation crew was proficient and expertly completed the project to our complete satisfaction. We will certainly recommend you to our friends and family. We couldn't be happier with our new countertop - it is gorgeous!!! Thank you again for your expert service. Styles and design variety is a great advantage in granite and kitchen studios. I found all the variety that I need. I was able to mix and match. Having lots of affiliates is what made me consider granite and kitchen studio. You won't regret it ever. We respect your privacy. We won't share or publish your email. Copyright © by Granite & Kitchen Studio, LLC. All rights reserved.